What will you do if your iPad is broken and you can't access into your data? If you have created a backup of your iPad in iTunes, you may easily get the lost photos, contacts, notes and other files back. But what if you didn't make a backup for your iPad? Don't worry. Even if you didn't backed iPad up in iTunes before, it's also possible to restore iPad data including photos, videos, contacts, notes, calendar and much more. Why? Because iTunes will automatically make a backup of your iPad when you sync your iPad with it, even if you don't make the backup by yourself. It just stores the iPad backup in unreadable file so that you can't see it. So it makes restoring data through iPad backup file no easy. If you want to see your iPad files, such as contacts, photos, notes, you need to extract them and save to another device. 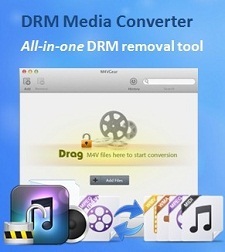 That is to say, you need to use third-party data recovery software to help you restore your data from the broken iPad. Here comes the iPad Data Recovery Professional, available for Mac and Windows users, to assist you preview and restore the lost notes, photos, videos, contacts, calendar, etc. from iPad 1, iPad 2, The New iPad, iPad with Retina Display, iPad Mini, as well as iPad Mini with Retina Display. Why not download the trial version below to give it a try? The following is tutorial of recovering iPad from backup file on Mac OS. Windows tutorial is similar to it. Find where your iPad backup file is. Please remember no to connect and sync your iPad with iTunes or it will update the data so that you can't restore it any more. 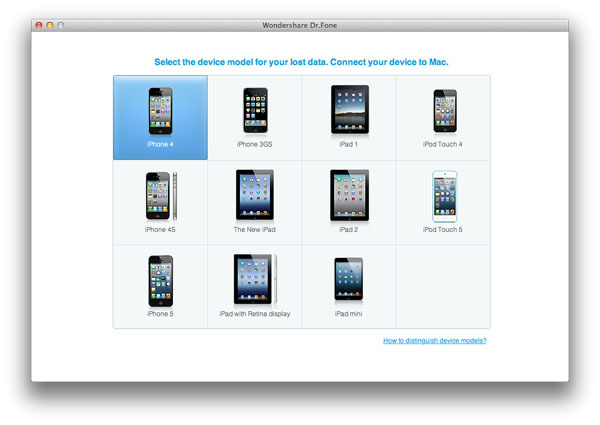 Run the iPad Data Recovery and select your iPad model. Choose the "Recover from iTunes Backup File" mode. The data will be listed with the device name, serial number and syncing time. 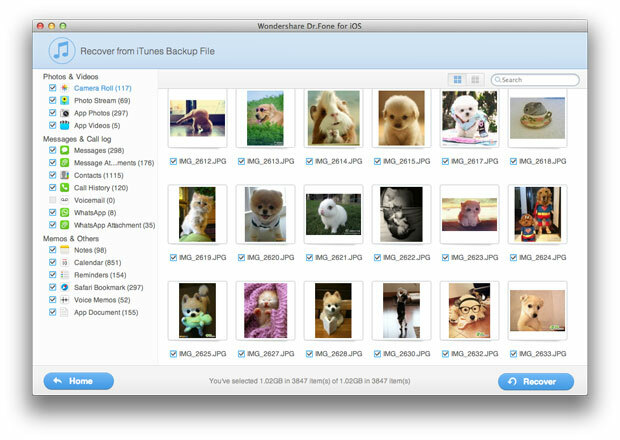 Then select your iTunes backup file for your iPad and click "Start Scan" button to begin scanning your iTunes backup files. After scanning, all backup data, including camera roll, photo stream, contacts, messages, calendar, notes and videos will be extracted. 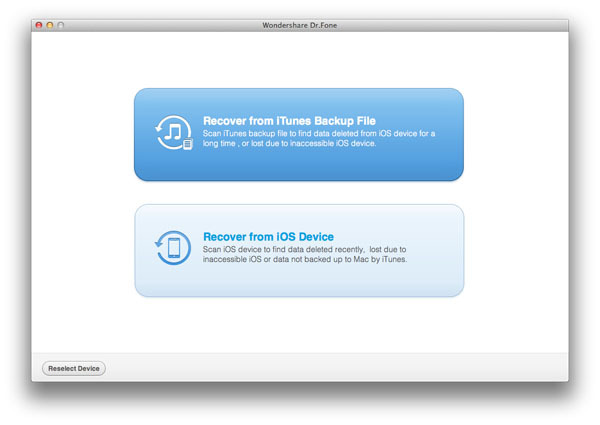 Check the files you need and click "Recover" to recover your iPad data. 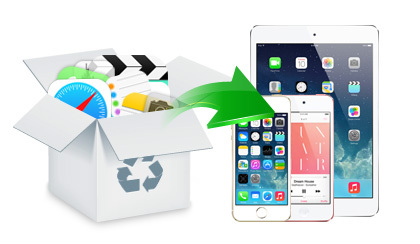 If you have other iOS devices, you can restore your iPad backup on them or save those iPad data on your computer in order to avoid losing the data from your iPad again. • How to Restore iPad after Jailbreak?